Snow in October is unusual but this is not the first nor will it be the last time we will experience snow in early October. As it turned out we did get this crop harvested before winter but we had to hire extra combines to help speed up the harvest. 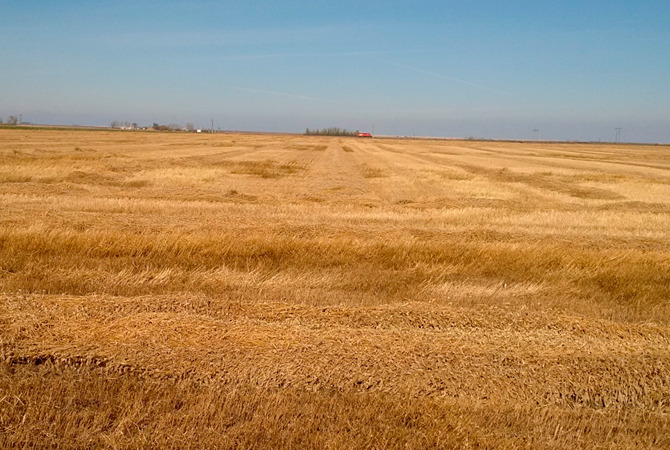 The crop report issued by Saskatchewan Agriculture on Tuesday, October 12 says we are 85% to 89% harvested in Southern Saskatchewan. I think this lines up fairly accurately with what I have seen flying over the region and with reports from farmers in the Moose Jaw area. The snow and rain did the most damage to the wheat crops as they would be flattened to the ground. In addition, the quality will be further reducing as the wheat will likely sprout. Durum wheat in the area was already grading lower due to fusarium. Many farmers are now questioning if they will ever grow durum wheat again as there is no genetically resistant varieties available. The lentils harvest is 95% complete. The last 5% will be sample grade and was likely not harvested since there were higher valued crops such as canola that would have taken priority. Our farm is down to one field of canaryseed and one field of flax. It is not uncommon for these crops to be harvested in late October. The heavy frost received these past few days would help to kill any of the crop that was still green. for harvest once it dries. Canaryseed crop swathed prior to the snow. 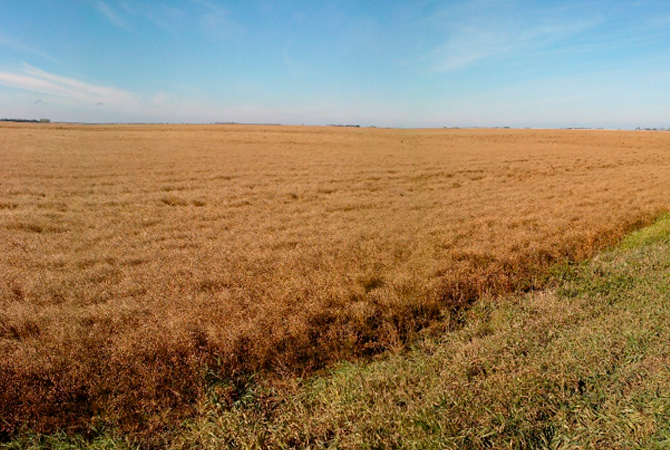 The heavy swaths will need several days to dry. The weather forecast is not the best as we could use a full week of warm sunny days to dry the crops. Regardless, I am pretty optimist that we will get the flax and the canaryseed done in the next couple weeks. Thanksgiving Day is now behind us but I wanted to share a quote from Paul Harvey.